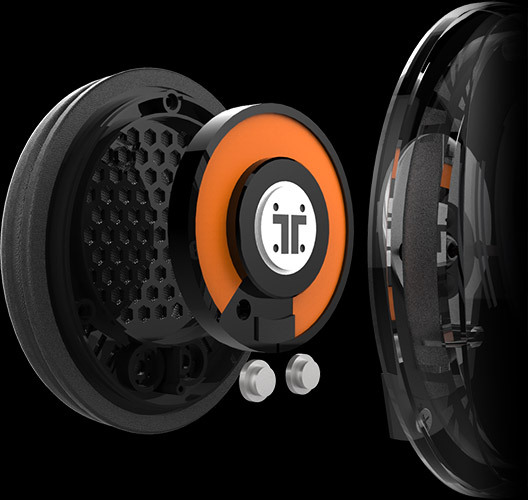 Our unique monocurve design has been extensively tested and tuned to offer the perfect clamping force; to ensure the audio response of the speakers as well as comfort over long gaming sessions. 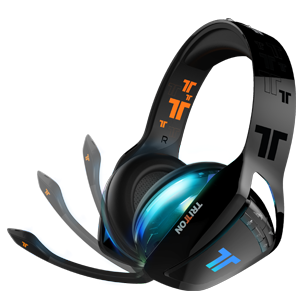 The ear cans slide within the monocurve enabling adjustment for different head sizes, whilst the exterior always retains its powerful, unique profile. Expecting a single driver to cover all audio frequencies can end in compromise. 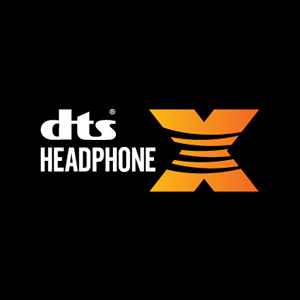 On the ARK 300 each ear can houses three drivers: one 60mm driver dedicated to superior bass and mid-range response, whilst two 10mm driver handles higher frequencies. 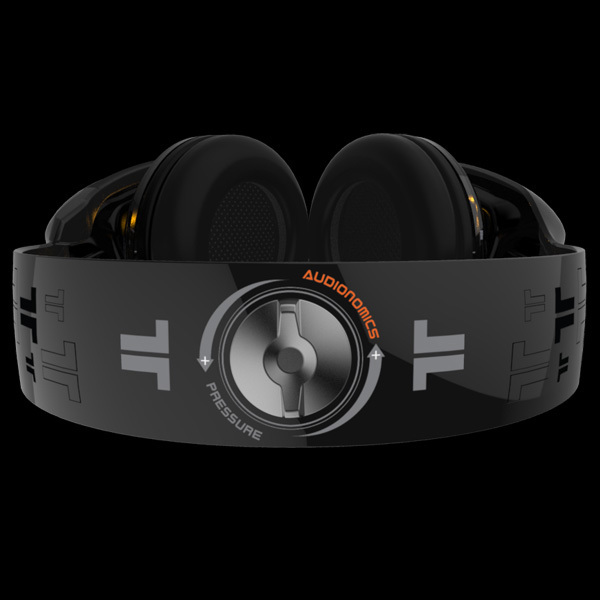 The result is a far richer, precision audio experience due to each driver handling the frequencies it was designed for. 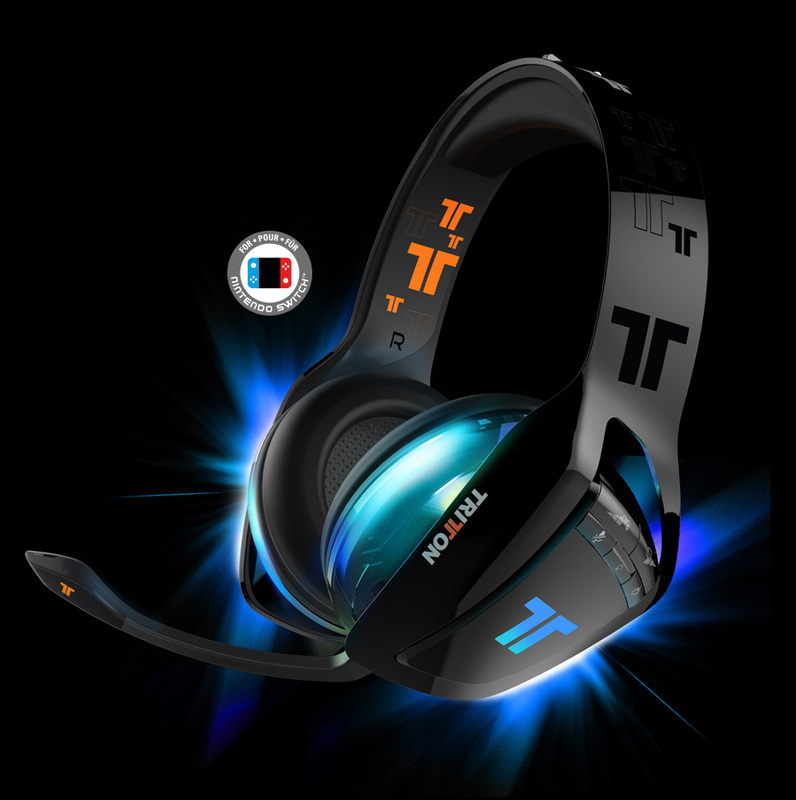 Accelerometer-based control of color and brightness means that you can customize the headset with ease; simply tilt until you have the color and brightness you desire. You can also control the speed of LED effects, such as breathing, heartbeat and color cycling. – click on the icons and try them out here. 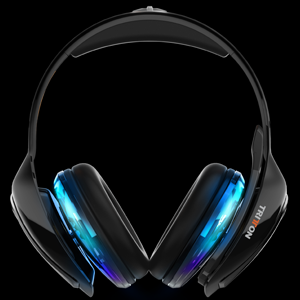 Other headsets mainly use optical audio connections, which can only handle 5.1 channels of audio which is also compressed. 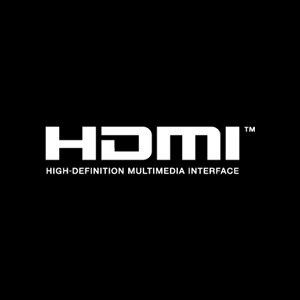 Thanks to the larger bandwidth afforded by HDMI, ARK 300 has 7.1 channels of uncompressed audio to work with, resulting in the cleanest, most accurate surround sound ever. 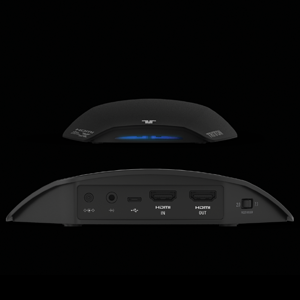 The ARK 300 headset works beautifully with even the most advanced full A/V setup – whilst it’s taking the full 7.1 channels of uncompressed audio from whatever source you give it, it will still pass through that audio to any downstream devices along with 1080P, 3D, and 4K HDR video. Whether enemies are flanking or surrounding – even from above or below – you can hear them before you see them. 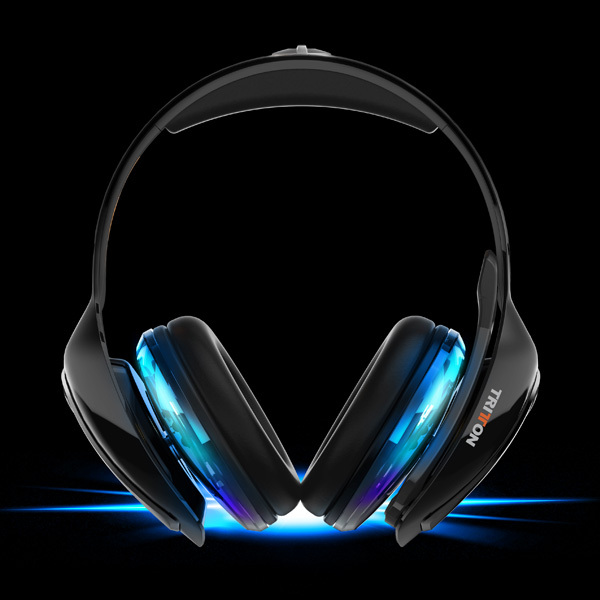 Get fully immersed in games, movies, and music like you are actually there. Folding uni-directional boom mic deploys to the perfect position when needed and ensures that your teammates hear only what you want them to hear. 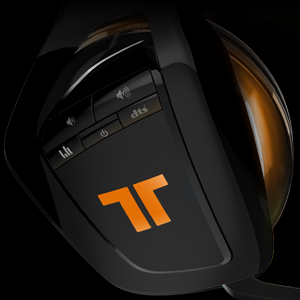 With no wire to tether you to either your controller or your console, you’re free to concentrate on winning. 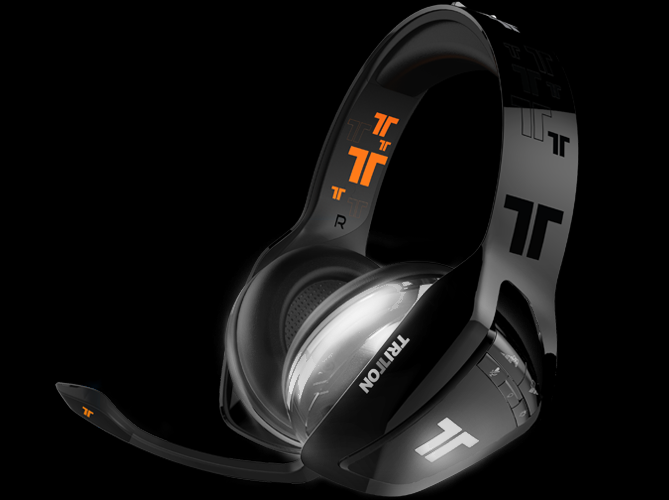 Our custom low-latency 2.4GHz wireless technology delivers crystal clear audio and chat. 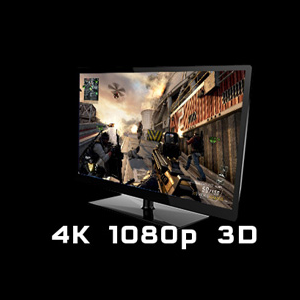 With over 10 hours use from a single charge (7 if the LEDs are on), you’re good for even the most extreme gaming session. When you need to recharge we’ve included a special USB cable just for that. So you can keep on gaming.